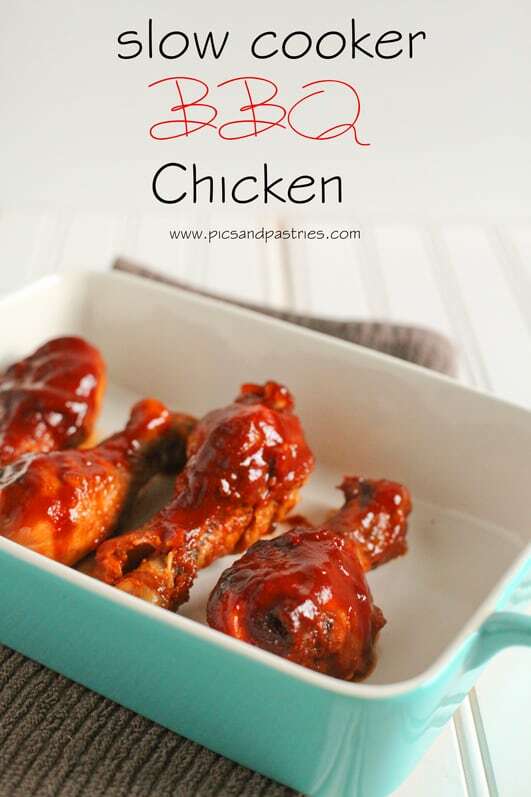 I’ve got a delicious slow cooker BBQ chicken recipe for you today! I personally enjoy winter and am in no hurry to wish it away; however, I know most people wish otherwise. I know it has been a bleak winter and many people are longing for summer days and outdoor barbequing. Unfortunately, that is still a couple of months away, although that doesn’t mean you can’t enjoy BBQ chicken now! This recipe is super quick to put together and doesn’t make much of a mess. I served our chicken with mashed potatoes, per the husband’s request. We also had corn and fruit salad. Definitely give this easy meal a try! Rinse chicken and place on a baking sheet. Place chicken on the middle rack of the oven. Broil 4 to 5 inches from the heat (I used the middle rack) for 15 to 20 minutes or until chicken is light brown, turning once halfway through broiling. 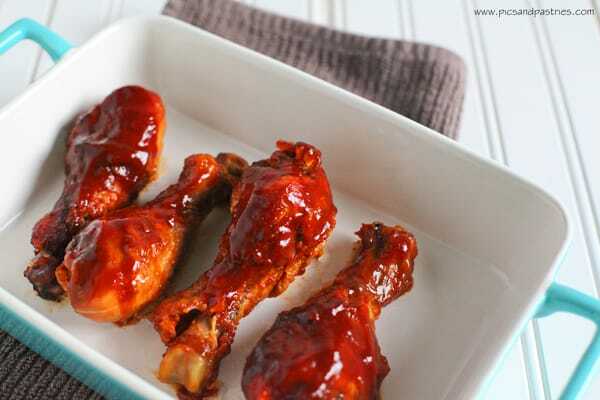 In a medium bowl, combine barbecue sauce, honey, mustard and Worcestershire sauce. Layer a small amount of sauce in the bottom of the slow cooker. Place the chicken on top and pour the sauce over the chicken. Cover and cook on low for 3 to 4 hours or on high for 1 and 1/2 to 2 hours. I reserved some of the sauce and basted 30 minutes before serving. I sprayed my baking sheet and slow cooker with nonstick cooking spray.